Any athlete who has dealt with an injury knows that overcoming it can feel like a long and grueling process. It takes patience to allow healing, dedication to specific exercises to build strength and endurance to work through pain and weakness. The stress of physical therapy can take a toll on the body and the mind. For these reasons, aquatic therapy is an effective rehabilitation tool for many athletes. It uses the natural buoyancy of water to facilitate exercise with significantly less force on joints, injuries and the body overall than land-based programs. Conducting physical therapy exercises in a pool means less stress on the patient, which ultimately means less pain throughout the healing process. There are many options when it comes to healing, but aquatic therapy is a great choice for athletes struggling with a new injury or nursing ongoing issues. Whether you're injury-prone or not, water provides a low-impact, high-return option. 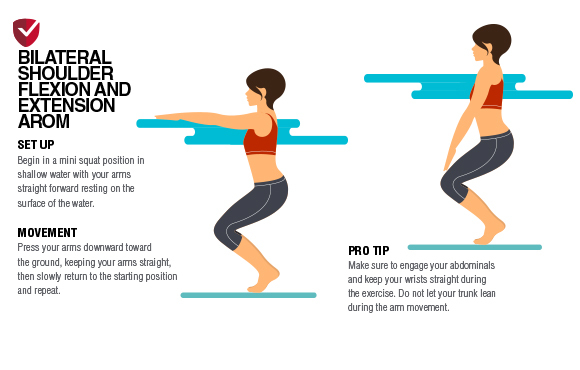 Learn more from ATI Physical Therapy, and see below for a few examples of aquatic therapy exercises that can help treat common injuries and alleviate the aches and pains of daily activities. This exercise engages and strengthens core muscles. Try walking for 10-15 seconds at a time and repeating at least three times. 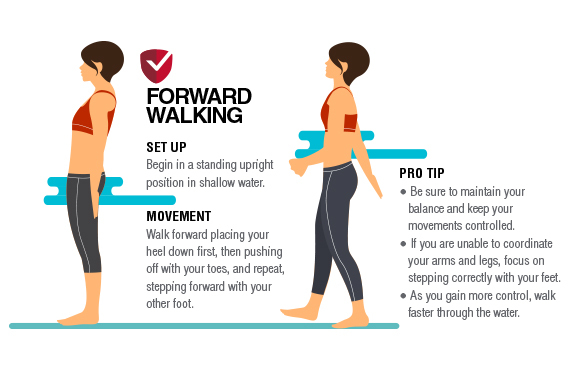 This exercise is a more challenging option once you've mastered forward walking in the water. 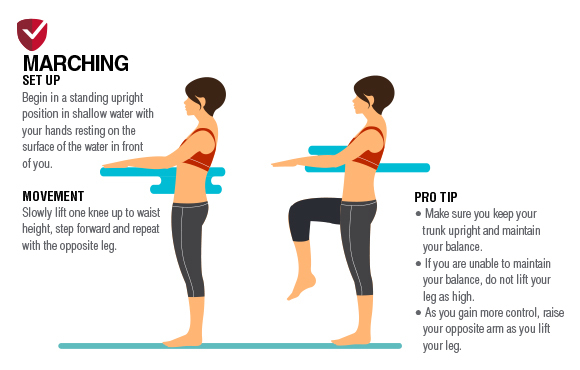 Try holding each leg for 10-15 seconds and repeating three times. This stretch is another option for stiff muscles along the backs of your legs.